Mihai Nadin. The mind of the designer. 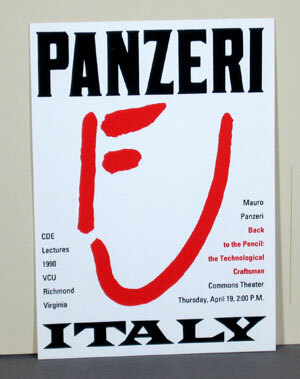 Mauro Panzeri. Back to the pencil: the technological craftsman. 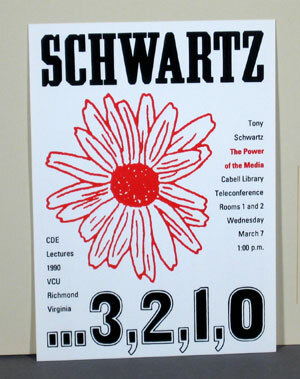 Tony Schwartz. The power of the media. Greg Spalenka, Michelle Barnes. Illustration. 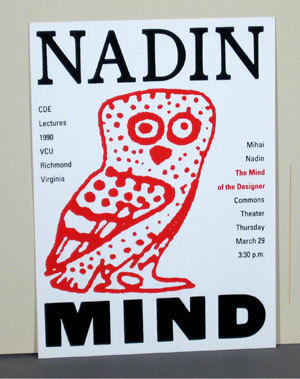 A series of postcards for the 1990 lecture series at VCU. 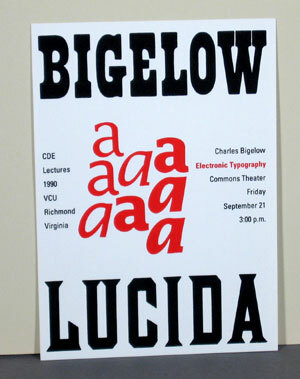 Each card uses old woodtype letters for the name of the lecturer and the subject of the lecture. 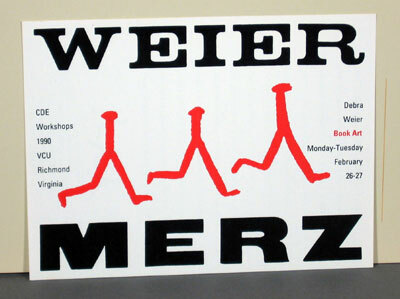 The images are related to the topic of the lecture.